Diamond collagen masks seem to be one of the many trends in skin care these days. In fact, you’ll definitely see a lot of diamond and collagen-based skin care products and services in a lot of known beauty bars, counters, and shops everywhere. Whether you’re a skincare enthusiast, advocate, or a curious skin care fellow, these new trends are definitely worth looking into. 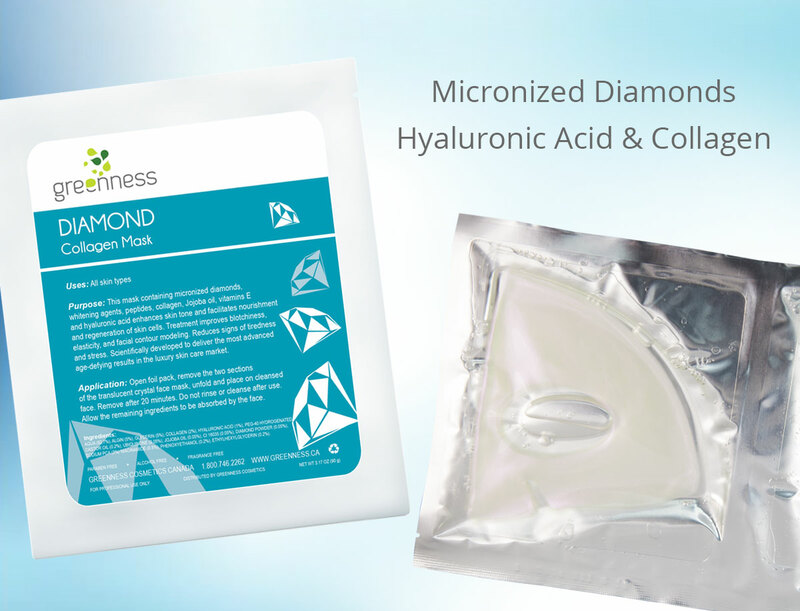 Diamond Collagen Masks: What’s in it? These masks are made up of 100 percent skin-friendly ingredients that work together to provide great benefits to the skin. True to its name, the mask mainly contains collagen and micronized diamonds. Besides that, it contains peptides, whitening agents, vitamin E, jojoba oil, and hyaluronic acid. Together, these wonderful ingredients work together to enhance one’s skin tone and take part in the regeneration and nourishment of one’s skin cells. Along with that, the mask reduces the elasticity, blotchiness, signs of stress and tiredness in the face. All in all, this mask promises to deliver the best age-defying technology that produces the best results possible. Those who are very interested to see the benefits of this face masks don’t even have to worry about skin restrictions because this mask is perfect for every type. With that in mind, it’s only proper to highlight the benefits of each of the key elements that make the diamond collagen mask: collagen and diamond skincare! Diamond facial products work like magic even on the most sensitive skin. It’s one of the best elements that fight aging. As the skin ages, there are sure to be issues here and there. Diamonds help eliminate these skin aging issues by removing impurities like toxins. This also activates the skin’s dormant cells then boosts the skin’s metabolic functions. Besides that, diamonds are also great ingredients for exfoliation. In fact, its properties lets the skin exfoliate longer than other ingredients. Therefore, expect a youthful and glowing skin as a result of the exfoliation properties of diamond skin care. With your skin having the best treatment with these magical ingredients, users will surely feel luxurious while giving their skin the best age-defying and exfoliating experience. Other than diamond-based skin care products, the Diamond Collagen Mask also boasts one other beneficial ingredient: collagen. When our skin slowly loses its elasticity, collagen heals it right back and retains this certain property of your skin. Therefore, your skin’s youth will not waver with the healing touch of this great skin care ingredient. Elasticity is not the only thing that slowly wavers in our skin as we age. We also slowly lose our skin’s natural moisture. If you’re worried about getting dry skin in the future, collagen is a good ingredient to keep our skin well-moisturized. While collagen still has a lot of benefits besides the skin, there’s no denying that this ingredient heals and preserves the youthful properties of your skin. But no matter what skin care product you use for your skin, it’s should be emphasized that keeping a good and regular routine to maintain the natural properties of our skin is important to our body as a whole.